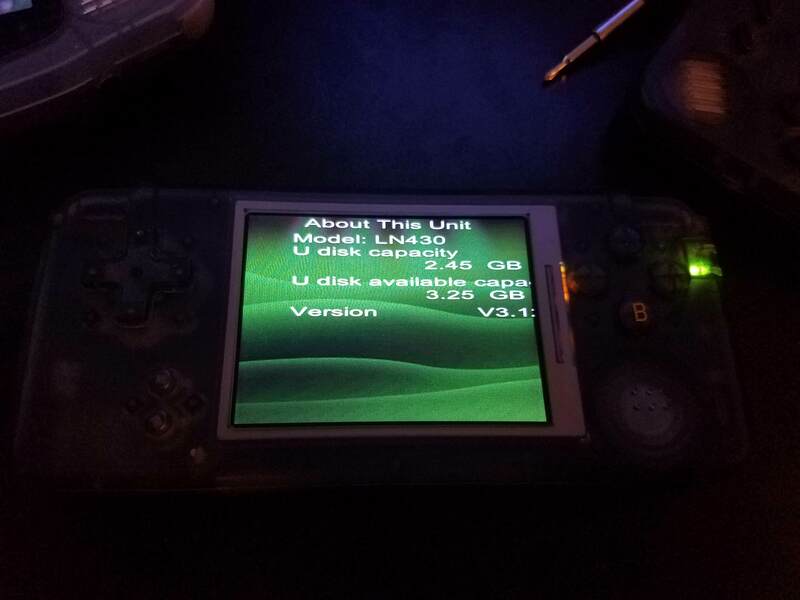 Seems to be another emulator with the similar Ingenic chip as the Retromini, however this one comes preloaded with many different emulators. Also strangely, seems to come with the K1 Flash cart, according to the product images. Re: Revo K101 Shell used in another device? It's called the k101 pro. Is that ingenic chip any more powerful than the dingoo a320. Seems weird that we're stuck with processors that are years and years old. All the promo material says it's jz4725b. Are you sure you're correct? So can the hacked in dmenu for the PAP-KIII Plus be used on this? Would be nice to see an OD handheld with nicer build quality. Pretty cool to see Ingenic based Dingux consoles appearing though. Promo says it's the JZ4725B though, dunno if that's correct. Looks pretty cool for the price just got one will go nice with my 2 hacked up GameGadgets. Is there anyone here that can help us port OD to the K101 Pro device? What is needed in order to get this thing flashed up and booting OD? It uses a JZ7460. That chip is compatible with OD right? Looking at the specs of the chip you mentioned, this device should have more power than the dingoo a320 correct? I know the gcw zero is the newest iteration of community supported open dingux compatible devices, but how would this stack up? Ive avoided the gcw zero all this time because for what it does, its a damn expensive gadget that is too big(for me) to be especially pocket friendly. I suppose we need a dev and donate to buy him one unit the aliexpress deal looks good.We will then get get some answers I think so we should do a donation and call out to a willing dev.If anyone wants to set up a bounty let?s do it. trying to decide which to work on, the retro mini looks a bit underpowered but I still might end up doing something with it. The pap kiii plus and this look roughly the same as far as power. The kiii plus looks like it's already getting some love, so I'll let them play and probably end up seeing what I can do on this k101 pro. not going to promise anything, but I'll post anything I come up with. *GBA slot functions with kcart, slot only has 12 pins to USB header? So is the aliexpress link in the first post the R9 but the K101 pro because the product info specs are different to yours.Has anyone actually received the one in the link below from aliexpress is it a K101 Pro? or just a cheap chinese clone model?. Bro, you will be awesome if you can figure out a way into getting it to boot Dingux/Opendingux. That would FIX everything. The emulators for the a320/a330/a380 are far superior and have better support and performance.